12 cartographic experiments that changed cartography. In June 2012, Brian McClendon, an executive at Google, announced that Google Maps and Google Earth were part of a far loftier pursuit than edging out Apple and Facebook in the map services market. Google, McClendon wrote in a blog post, was engaged in nothing less than a "never-ending quest for the perfect map." "We’ve been building a comprehensive base map of the entire globe—based on public and commercial data, imagery from every level (satellite, aerial and street level) and the collective knowledge of our millions of users," McClendon noted. By strapping cameras to the backs of intrepid hikers, mobilizing users to fact-check map data, and modeling the world in 3D, he added, Google was moving one step closer to mapmaking perfection. It was the kind of technological triumphalism that Jerry Brotton would likely greet with a knowing smile. "All cultures have always believed that the map they valorize is real and true and objective and transparent," Brotton, a professor of Renaissance studies at Queen Mary University of London, told me. "All maps are always subjective.... Even today’s online geospatial applications on all your mobile devices and tablets, be they produced by Google or Apple or whoever, are still to some extent subjective maps." There are, in other words, no perfect maps—just maps that (more-or-less) perfectly capture our understanding of the world at discrete moments in time. In his new book, A History of the World in 12 Maps, Brotton masterfully catalogs the maps that tell us most about pivotal periods in human history. I asked him to walk me through the 12 maps he selected (you can click on each map below to enlarge it). Humans have been sketching maps for millennia, but Claudius Ptolemy was the first to use math and geometry to develop a manual for how to map the planet using a rectangle and intersecting lines—one that resurfaced in 13th-century Byzantium and was used until the early 17th century. The Alexandria-based Greek scholar, who may never have drawn a map himself, described the latitude and longitude of more than 8,000 locations in Europe, Asia, and Africa, projecting a north-oriented, Mediterranean-focused world that was missing the Americas, Australasia, southern Africa (you can see Africa skirting the bottom of the map and then blending into Asia), the Far East, the Pacific Ocean, and most of the Atlantic Ocean. Ptolemy's Geography was a "book with a 1,500-year legacy," Brotton says. Al-Sharif al-Idrisi, a Muslim from Al-Andalus, traveled to Sicily to work for the Norman King Roger II, producing an Arabic-language geography guide that drew on Jewish, Greek, Christian, and Islamic traditions and contained two world maps: the small, circular one above, and 70 regional maps that could be stitched together. Unlike east-oriented Christian world maps at the time, al-Idrisi's map puts south at top in the tradition of Muslim mapmakers, who considered Mecca due south (Africa is the crescent-shaped landmass at top, and the Arabian Peninsula is in the center). Unlike Ptolemy, al-Idrisi depicted a circumnavigable Africa—blue sea surrounds the globe. Ultimately, the map is concerned with representing physical geography and blending traditions—not mathematics or religion. "There are no monsters on his maps," Brotton says. This map from England's Hereford Cathedral depicts "what the world looked like to medieval Christians," Brotton says. The organizing principle in the east-oriented map is time, not space, and specifically biblical time; with Christ looming over the globe, the viewer travels spiritually from the Garden of Eden at top down to the Pillars of Hercules near the Strait of Gibralter at bottom (for a more detailed tour, check out this handy guide to the map's landmarks). At the center is Jerusalem, marked with a crucifix, and to the right is Africa, whose coast is dotted with grotesque monsters in the margins. "Once you get to the edges of what you know, those are dangerous places," Brotton explains. What's most striking about this Korean map, designed by a team of royal astronomers led by Kwon Kun, is that north is at top. "It's strange because the first map that looks recognizable to us as a Western map is a map from Korea in 1402," Brotton notes. He chalks this up to power politics in the region at the time. "In South Asian and Chinese imperial ideology, you look up northwards in respect to the emperor, and the emperor looks south to his subjects," Brotton explains. Europe is a "tiny, barbaric speck" in the upper left, with a circumnavigable Africa below (it's unclear whether the dark shading in the middle of Africa represents a lake or a desert). The Arabian Peninsula is to Africa's right, and India is barely visible. China is the gigantic blob at the center of the map, with Korea, looking disproportionately large, to its right and the island of Japan in the bottom right. This work by the German cartographer Martin Waldseemuller is considered the most expensive map in the world because, as Brotton notes, it is "America's birth certificate"—a distinction that prompted the Library of Congress to buy it from a German prince for $10 million. It is the first map to recognize the Pacific Ocean and the separate continent of "America," which Waldseemuller named in honor of the then-still-living Amerigo Vespucci, who identified the Americas as a distinct landmass (Vespucci and Ptolemy appear at the top of the map). The map consists of 12 woodcuts and incorporates many of the latest discoveries by European explorers (you get the sense that the woodcutter was asked at the last minute to make room for the Cape of Good Hope). "This is the moment when the world goes bang, and all these discoveries are made over a short period of time," Brotton says. The Portuguese cartographer Diogo Ribeiro composed this map amid a bitter dispute between Spain and Portugal over the Moluccas, an island chain in present-day Indonesia and hub for the spice trade (in 1494, the two countries had signed a treaty dividing the world's newly discovered lands in two). After Ferdinand Magellan's expedition circumnavigated the globe for the first time in 1522, Ribeiro, working for the Spanish crown, placed the "Spice Islands," inaccurately, just inside the Spanish half of his seemingly scientific world maps. Ribeiro may have known that the islands (which appear on the far-left and far-right sides of the map) actually belonged to Portugal, but he also knew who paid the bills. "This is the first great example of politics manipulating geography," Brotton says. Next to Ptolemy, Brotton says, Gerardus Mercator is the most influential figure in the history of mapmaking. The Flemish-German cartographer tried "on a flat piece of paper to mimic the curvature of the earth’s surface," permitting "him to draw a straight line from, say, Lisbon to the West Coast of the States and maintain an active line of bearing." Mercator, who was imprisoned by Catholic authorities for alleged Lutheran heresy, designed his map for European navigators. But Brotton thinks it had a higher purpose as well. "I think it’s a map about stoicism and transcendence," he says. "If you look at the world from several thousands miles up, at all these conflicts in religious and political life, you’re like ants running around." Mercator has been accused of Eurocentrism, since his projection, which is still occasionally used today, increasingly distorts territory as you go further north and south from the equator. Brotton dismisses this view, arguing that Europe isn't even at the center of the map. Working for the Dutch East India Company, Joan Blaeu produced a vast atlas with hundreds of baroque maps gracing thousands of pages. "He's the last of a tradition: the single, brilliant, magician-like mapmaker who says, 'I can magically show you the entire world,'" Brotton says. "By the late 17th century, with joint stock companies mapping every corner of the world, anonymous teams of people are crunching data and producing maps." Blaeu's market-oriented maps weren't cutting-edge. But he did break with a mapmaking tradition dating back to Ptolemy of placing the earth at the center of the universe. At the top of the map, the sun is at the center of personifications of the five known planets at the time—in a nod to Copernicus's theory of the cosmos, even as the earth, divided into two hemispheres, remains at the center of the map, in deference to Ptolemy (Ptolemy is in the upper left, and Copernicus in the upper right). "Blau quietly, cautiously says I think Copernicus is probably right," Brotton says. Beginning under Louis XIV, four generations of the Cassini family presided over the first attempt to survey and map every meter of a country. 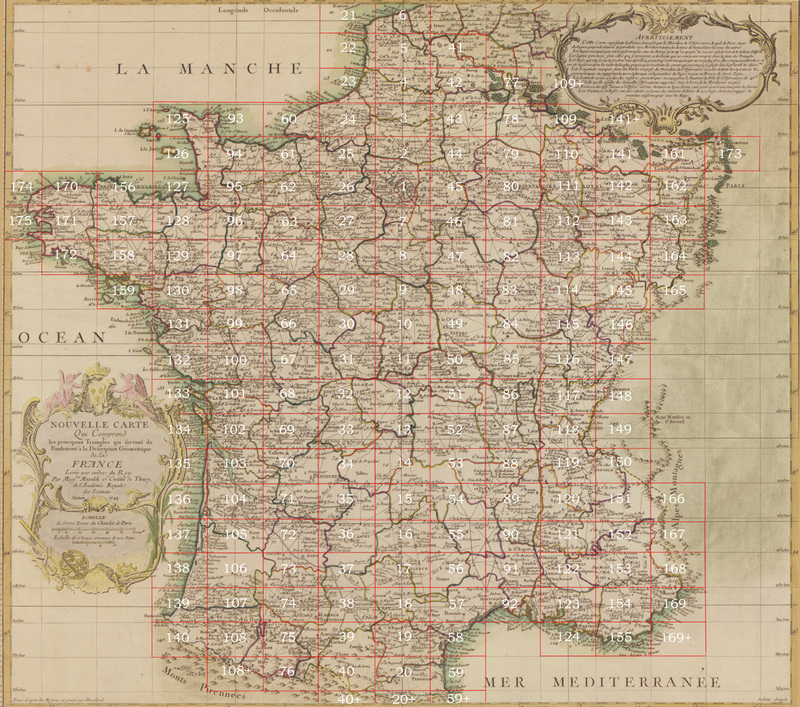 The Cassinis used the science of triangulation to create this nearly 200-sheet topographic map, which French revolutionaries nationalized in the late 18th century. This, Brotton says, "is the birth of what we understand as modern nation-state mapping ... whereas, before, mapmaking was in private hands. Now, in the Google era, mapmaking is again going into private hands." Don't let the modesty of this "little line drawing" fool you, Brotton says: It "basically created the whole notion that politics is driven to some extent by geographic issues." The English geographer and imperialist Halford Mackinder included the drawing in a paper arguing that Russia and Central Asia constituted "the pivot of the world's politics." Brotton believes this idea—that control of certain pivotal regions can translate into international hegemony—has influenced figures ranging from the Nazis to George Orwell to Henry Kissinger. In 1973, the left-wing German historian Arno Peters unveiled an alternative to Mercator's allegedly Eurocentric projection: a world map depicting countries and continents according to their actual surface area—hence the smaller-than-expected northern continents, and Africa and South America appearing, in Brotton's words, "like long, distended tear drops." The 'equal area' projection, which was nearly identical to an earlier design by the Scottish clergyman James Gall, was a hit with the press and progressive NGOs. But critics argued that any projection of a spherical surface onto a plane surface involves distortions, and that Peters had amplified these by committing serious mathematical errors. "No map is any better or worse than any other map," Brotton says. "It's just about what agenda it pursues." 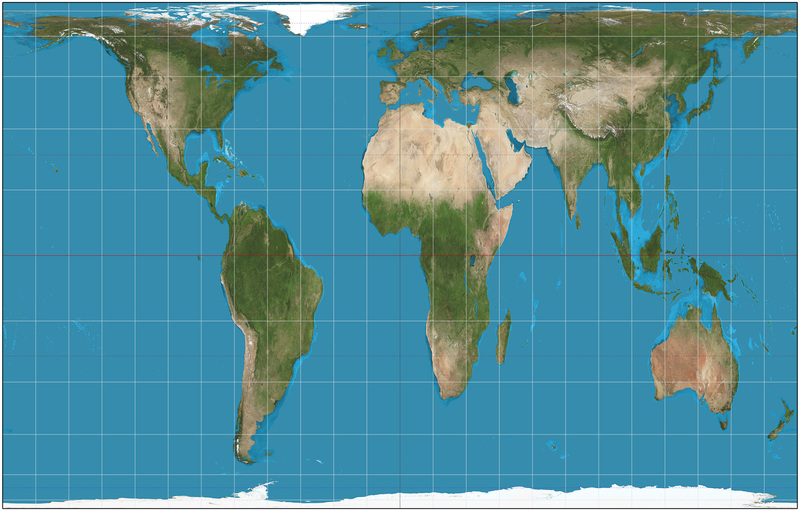 The West Wing enshrined the Peters Projection in pop culture during an episode in which the fictitious Organization of Cartographers for Social Equality lobbies the White House to make it mandatory for public schools to teach Peters's map rather than Mercator's. Google is at the forefront of innovations in digital mapmaking, Brotton says. But he also notes that the company sees maps as an adjunct to search and advertising. "My question is what gets on maps, who pays to get on maps now, and who can't pay and is therefore not on maps?" he asks. Back in Mercator's day, source code consisted of the projection the cartographer used and the data he fed into it. Now, Brotton notes, we don't know what source code Google and other online mapping applications are using. And this at a time when Google, which offers users more than 20 petabytes of imagery, is working with far more material than a country can match. "Companies can now produce maps in more detail than, say, the U.K. Ordnance Survey, but without any peer-observation process," Brotton asserts. "We always get the map that our age deserves," he adds.